el Hostal es muy bueno ... Viaje con mi familia y la experiencia fue muy buena. A nosotros nos encanto el lugar. 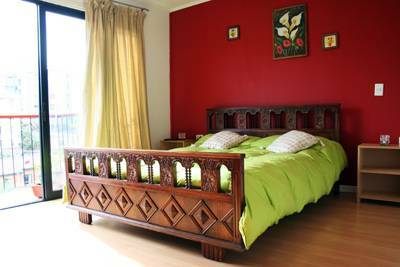 Hostal Reloj de Flores, is a beautiful house just restored, with a new style, focused on giving you the most pleasant and best stay in Viña del Mar. A charming house, built at the beginning of the century, one street from the beach, from a Flower Watch, from Sheraton Hotel. A walking distance from the shopping center, banks, ATM, the best pubs, bars, discos and restaurantes, few meters from the public transportation, which will take you to any point of the Region, in a family area, safe and quiet. Our tasty breakfast, with fruits, cereals, yogurth, coffee, tea, milk, etc., will give you the enery to walk along de beach, going to Reñaca and Con Con, to enjoy the best sea food of the Region or taking a bus to go to Horcones. We are 7 minutes from Valparaiso, its magics hills and it arquitectonic diversity. For fun we have over 100 films to choose from, to exchange books, card games, chess, dominoes, checkers, chub, backgammon, pocker, cribage and the whole program of local activities to make your stay the best. 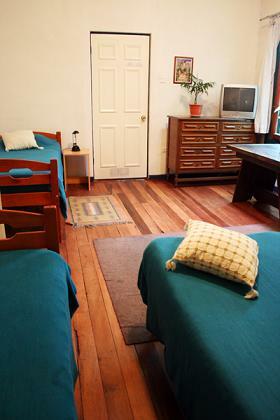 Being in Reloj de Flores Hostel, in Viña del Mar, is being at home, every day we make our best effort for you to have the best time ever, we are more than a lodging or a hostel in Viña del Mar, we are a special place, where the time stops to rest, have a break in our way along different cultures. Additionally we have laundry service, transportation service all along the country, child care, Cultural Tours, beaches, wineries, the Darwin Route, (The Campana Hill) and sport activities like Canopy, surfing, etc. Limit of age for Passengers is 50 years. We have the casino 10 minutes walking from the Hostel, also we have nice restauratnes and bars, we have public transportation 24 hrs. 24-hr front desk Airport pickup BBQ area Beach Bicycle rental Boat rental Breakfast included Casino Municipal Childcare or babysitting Children permitted Concierge El Cinzano El Huevo Disco Enjoy del Mar Cafe Express checkout Fellini Restaurant Hot tub Journal Bar La Piedra Feliz Pub Laundry/valet service Linen included Luggage carriers Medical assistance on call Meeting facilities Movie rentals Multi-lingual staff Newspapers/magazines No Smoking Open 24 Hours Parking (extra charge) Parking (free) Pets not allowed Restaurat Cap Ducal Safe deposit box Sports/activities Steam room Taxi service Tour/sightseeing assistance Wireless internet etc. 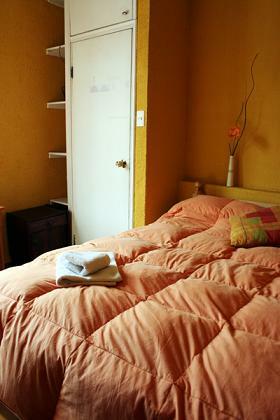 Furnitured room with private bathroom, cleaning service once a day, Tv Cable in the room and internet wi fi. Big closets and nices desks. 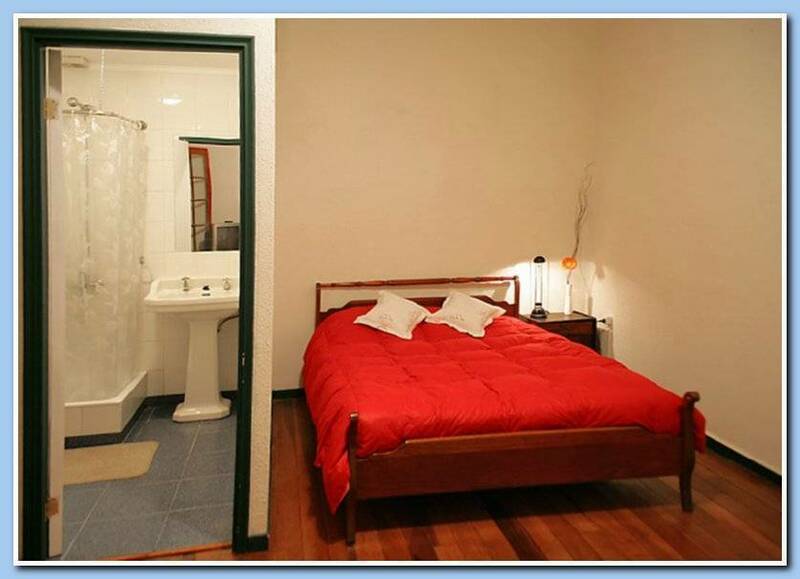 Linen and towels are included in the rate. This is a family neighborhood, very safe and quiet, walking 5 minutes from here you will get to bars and restaurantes area, also to supermarket, drugstores, etc. One block from the Hostel, you will find all kind of public transportation that will take you everywhere. The payment will be done at the passanger arrival. Cancellation policy is 48 hours before. 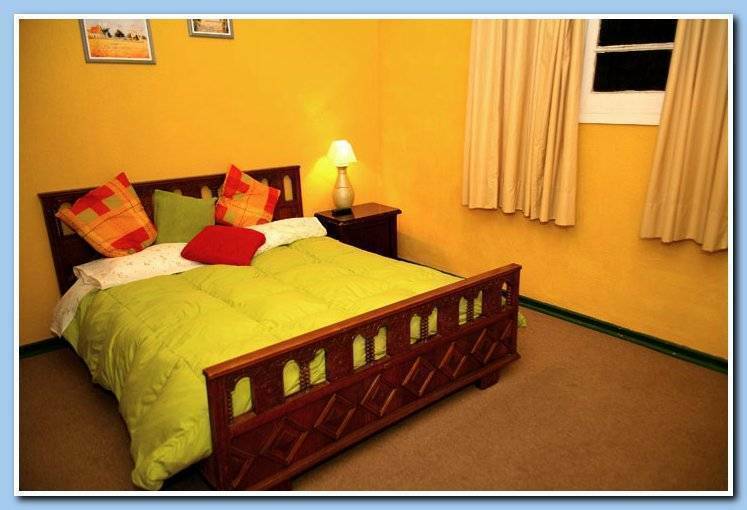 The reservation for fridays and saturdays from october to december must be at least of 2 nights. In front of the Flower Clock and Sheraton Miramar Hotel, you will find Caleta Abarca Area, in the corner, in the traffic light you will see Alvares and Praga St., go up and you will see Minimarket Al Gusto, in on of its sides you will see Los Baños St., walk up 1 block and you will arrive to Hostal Reloj de Flores B&B, is located in front of the ocean, the first bus stop in Alvares street. Reñaca and all the V Region villages. All the buses that go to Valparaiso or Viña del Mar, you just ask the driver to leave you at the Sheraton Hotel.